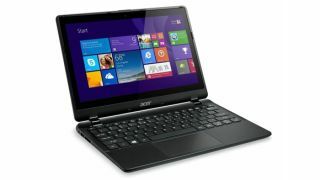 Acer has introduced a new addition to its flagship notebook family with the TravelMate B115. As the name suggests, the TravelMate B115 was designed with portability in mind, and its sub-1-inch thickness and 3-pound heft make it a good choice for students and commuters. The notebook has an 11.6-inch 1366 x 768 10-point multi-touch screen, perfect for Windows 8.1's tile-based user interface, and a "ComfyView" display that makes it easier to use outside. And Acer says it has up to 10 hours of battery life, with an Intel Celeron N2940 processor, 500GB of storage and 4GB of memory, expandable to 8GB. On the business side the Acer TravelMate B115 has security and management features for educators and IT managers. And the best part may be its price, at $380 (about £240, AU$440). Currently the Acer TravelMate B115 is only available in the US and Canada.